Mr. Al Meixner has been making music his entire life. He has studied music in great detail and continues to produce the music on his button box accordion and more. 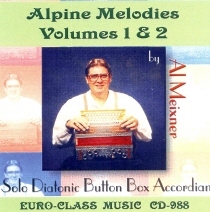 Here is some fine button box accordion formerly on two albums that has been re-released on one compact disc.